We specialize in landscape design and build services. Do you want to makeover your backyard or front yard landscaping but you don’t really know how it should look or what you’d like to incorporate? 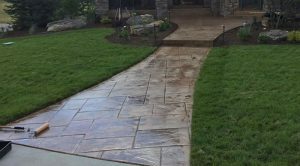 We are often asked by our customers for our ideas on what they should implement in their landscaping project and we’re happy to draw on our years of hardscaping experience to come up with a design for your new landscape. 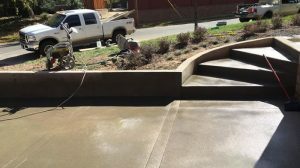 Quality Contracting LLC is a full service concrete construction and landscape contractor based out of Aurora, Colorado and serving the Denver Metro area. We specialize in landscape design and build services including hardscapes and concrete work. 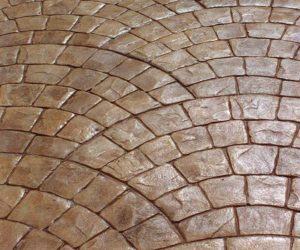 Whether you’d like an elaborate outdoor living area complete with a stamped concrete patio, integrate planters, walkways and an outdoor cooking area or something as simple as new concrete driveway we’ll be able to come up a design and a plan to build it for you. The first thing we do is come out to your property and have a look around so we can see the “lay of the land”. We’ll ask you questions about what you’ve envisioned for your landscape and we’ll answer any questions you might have the about process or the possibilities for your property. We spend a lot more time listening than we do talking because we want to make sure we get it right for you. We use aerial drone photography to take high resolution photos of your property from a few different angles. We then get to work sketching out a design over the photos of your actual property. We can place hardscape elements, lawn areas, plants, trees, and everything that makes up a modern landscape. 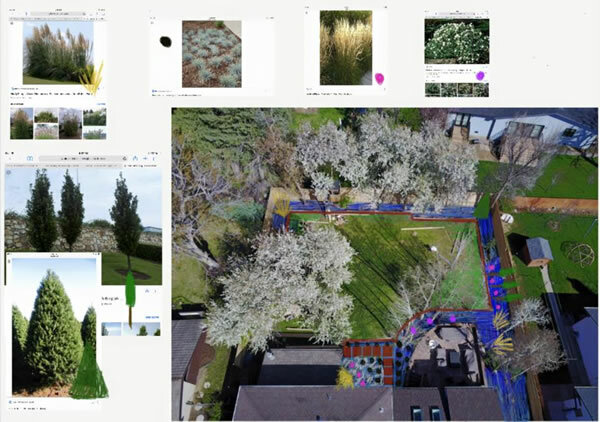 It’s not pixel perfect but our design service gives you a much better idea of what your potential landscape will look like and where everything will be placed. The design leaves for some flexibility and we can work around your budget too. Why Choose Quality Contracting LLC For Your Landscape Design? When you decide to work with Quality Contracting LLC for your new landscape design and build project you’re partnering with a small team of professionals who will put a great deal of thought and effort into your project. We’ll work with you to come up with a design that compliments your property, improves your curb appeal, and makes your property a more enjoyable space for you to spend your free time or relaxing with friends and family. If you’d like to schedule your landscape design consultation please call 720-271-1565 or fill out our online contact form and we’ll get right back to you.